I've been meaning to travel to Bali for the longest time and finally, Redza and I got to check it off our 2018 bucket list in June. This is one of the longest holiday we've had as a couple, we spent a total of 10 days and 9 nights in paradise. The funny thing is we bought these flight tickets the night we came back from Nha Trang, Vietnam in April. The trip was intended to be a birthday trip as I thought I'd be off to further my studies in the UK before my birthday in mid August. However, lucky me! I'm flying off in September so more time with the loved ones! In this guide, I'll be sharing with you guys exactly what I did, where I went, where I stayed, how much I roughly spent etc. details I think would be really helpful for you guys when you're planning a trip to Bali. In terms of weather, the best time to visit is between April to October. However, the Easter holidays are between July & August. Hence, tourism will be at its peak, prices will be hiked up and places will be packed. Although the rainy seasons are from December to March, there will still be a high volume of tourists coming in December for Christmas & New Years. There are plenty of flights in and out of Bali. In terms of affordability, I'd go for budget airlines such as AirAsia or Malindo Air. However, in terms of reliability and comfort, I'd opt for more prestige airlines such as Malaysian Airlines. The choice is truly up to you as it's only a 3 hour long flight from Kuala Lumpur to Bali. We travelled all over Bali during our trip and was hopping from one AirBNB to another. I'll touch more on where I stayed throughout my trip alongside the day-to-day itinerary below. All the places I've stayed at on this trip is genuinely loved by me. They are all also very central yet affordable locations. Meanwhile, if you don't already have an AirBNB account, click here to get RM120 credit when you sign up now! Bali is full of interesting local delights, cafes, bars, restaurants and more! One way we ensured that food was partially covered in terms of expenses and our indecisiveness was by getting our hands on HUNGRY IN BALI. 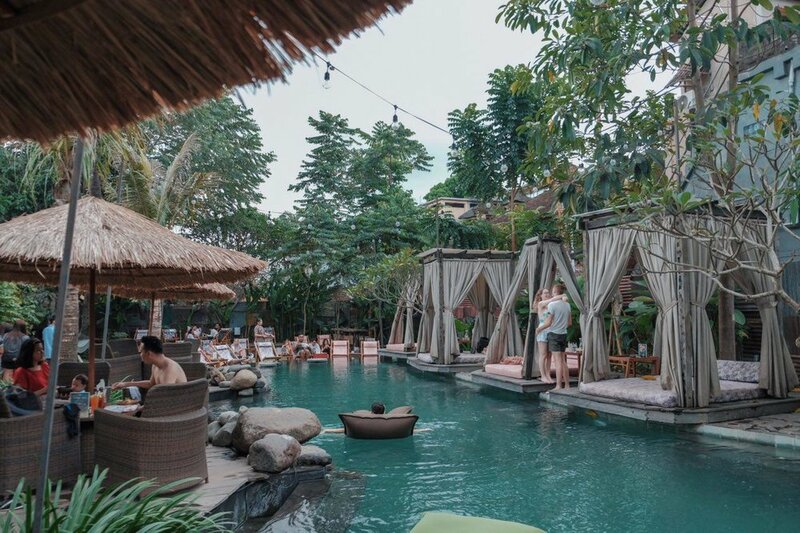 Hungry In Bali by The Asia Collective is an amazing dining guide we got off the site that consisted of all the hotspots to wine and dine at inclusive of amazing deals such as buy one free one, free welcome drinks, free dessert and more! Aside from food, there are also recommendations and deals on spas. When it was mentioned that we'd be able to save up to 1,000USD, they weren't kidding! Redza & I spend around RM300 or less per day. One way to get the best out of the exchange rate is by swiping BigPay whenever you get the chance to. I love using this prepaid debit card during my travels as it really ensures I get the best rate whenever I swipe. I did an experiment and can guarantee it is equal and sometimes even lower than XE. If you don't have BigPay yet, use this referral code <1ZBUAKRWRX> to earn RM10 when you sign up! Also, a pro tip when shopping at markets that you can haggle is to keep bulk of your money in your bag and only leave the amount you're willing to spend in your wallet. With this, shop owners can't push you to pay more for something you know is not as valuable when they see your "lack of money". From the airport to your designated accommodation, book an airport transfer in advance with KLOOK. They offer the best prices, have drivers that are hella on time and friendly. The best advice I can give you is to steer clear from the taxi drivers at the airport trying to squeeze you for a ton of money even when your accommodation is nearby. The second best option in terms of transport to and fro the airport is GRAB OR GO-JEK. However, they might be hard to come by due to the company's dispute with local cab drivers. GRAB and GO-JEK drivers tend to think twice when having to pick-up or drop off passengers at destinations with a lot of local cab drivers waiting around. Wrapping up, the best mode of transport in terms of affordability and efficiency to go around town is to rent a motorcycle. However, if you don't know how to ride one, use GRAB, GO-JEK or hire a private driver/charter via KLOOK. Labelled 1 to 5 is where my journey started and ended. Our first day in Bali we woke up bright and early to swim with sharks. Redza & I wanted to be daredevils and took a chance on it. The activity included a charter to pick us up from our place so getting there was pretty hassle free. Everything was pretty instant the moment we reached the beach. The company who handled the activity took care of us and brought us to the shark sanctuary where we could snorkel/dive with toddler sharks. FYI, these are coral sharks and they are extremely shy. They are carnivorous but are all too small to eat you if that's what you were wondering. Also, I would suggest to contact the company regarding the best time to go as we went a tad bit too early and the water was murky. It became quite hard for us to catch the sharks. We booked the activity off Klook, you can click here if you're keen. Ulekan Bali is a beautiful cafe nestled in Denpasar Bali that serves up a delicious variety of Indonesian cuisine. This cafe is listed in the Hungry In Bali book we got and we decided to give it a go. The food was amazing, full of spice and true to Balinese flavours. 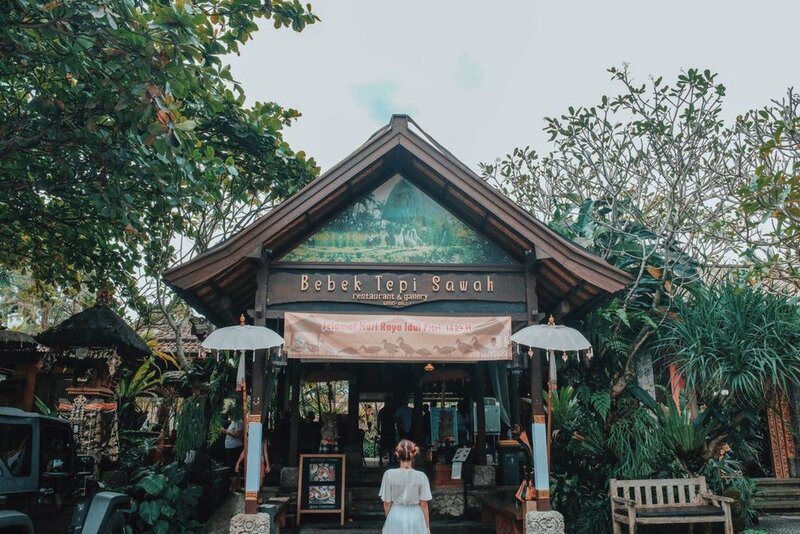 Ulekan Bali has this Rijstaffel menu that serves up an assortment of local delicacies in small portions so that you get to try almost everything without getting too stuffed. Something I definitely recommend going for. The Kumbasari Market is a local art market that is four floors high. Here you'll be able to find beautiful paintings, handmade decors, bags and accessories. Not to mention, if you're a fan of macrame, there are a ton here! Also, right next to Kumbasari Market is Badung Market so if you have the time, do check it out too! When we were there the market was closed for renovation so we couldn't. After the market we went to Sanur Beach to explore as it was just 5 minutes away from our lodge. It's a beautiful place to catch sunsets and there are a lot of villas and restaurants by the beach. On the main street behind the villas you'll find quite a busy road filled with bars and restaurants too. We had dinner at a random restaurant and called it a night. Nusa Penida is one of the beautiful islands off Bali that's approx a 45 minutes speedboat ride away. There are various ports nearby that you can get a boat ride to the island. The easiest and most accessible place to get a boat ride to Nusa Penida is via Port Sanur. There are a lot of ticketing booths by the port for you to choose from so take your time to find one with the best price. Alternatively, you can find out more and book online here too. FYI, the port in Sanur does not have a dock so be prepared to get wet when boarding the speedboat. I'd recommend wearing your bathing suit for the boat ride. The minute you dock at Nusa Penida, you are going to find yourself swarmed by local taxi drivers. I'm not kidding when I say they're going to go all out to try and get you to ride with them. Sadly, there's not much of a system on the island so prices are definitely overpriced in terms of transport and tours. We spent around RM400+ on a driver that sent us to our accommodation and brought us around the island. I wouldn't say that's the best price but honestly, what or where can you compare it with if there's no system. Also, don't be too bothered when people come up to you and ask how much you spent on the tour. Through experience, they'll all say that could've gave a better price. A little too late hun! The road around the island is very rocky so if you get carsick easily, be prepared. There are a lot of beautiful places to visit around the island but we only manage to visit Angel's Billabong, Broken Beach and Kelingking Beach. If you have the time, do stay for a few nights because it's definitely worth the sights. It's also quite far going from one place to another so time is definitely what you'll need. In terms of meals, Redza & I just ate at local food stalls by the beach. It was cheap and good so don't be stress too much about food on the island. 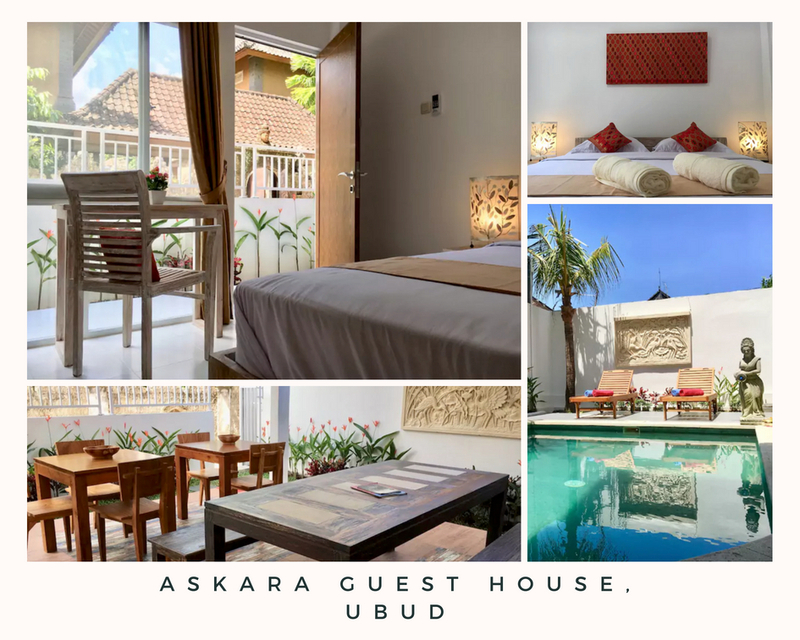 After coming back from Nusa Penida we took a Grab to Ubud where we were staying for a night at. We took motorbike taxis that were relatively cheaper to bring us around town for lunch and some sight seeing. Bebek Tepi Sawah is a well known Balinese restaurant in Ubud. It is a huge place surrounded by paddy fields and serves up delicious local cuisine. I'd say the price is slightly on the higher end due to how well known it is but definitely worth it. I'd recommend the Sate Lilit and Tepi Sawah Crispy. If you're into heritage then these places are worth the visit. The architecture is beautiful and so are the sceneries surrounding it. Goa Gajah is a temple in the cave and surrounding it is beautiful lush green flora and fauna. The Ubud Water Palace is however located in town with beautiful lotus in bloom surrounding the gate. An impromptu visit here when we were going through the Hungry In Bali book and realised we were nearby this gem. We had an early dinner and found ourselves in a mini paradise in the middle of town. It's sad that we didn't pack our swimwear but overall we had a great meal and time lounging there until dusk. From Ubud to Seminyak we booked a private driver from Klook to take us around and to our next destination. After checking out from our stay in Ubud, we headed to the Tegallalang Rice Terrace for some sightseeing. It was a truly breathtaking scenery that was worth exploring. My initial plan after was to head to Bali Swing. However, our driver recommended us to try the swing at the Terrace River Pool in Tegallalang Rice Terrace itself. It is literally the exact same thing but way cheaper. The experience was thrilling and I got the generic shot everyone goes for so, for me it was way worth it. It was an hour plus ride from Ubud to Seminyak due to traffic. Redza & I napped along the way and when we finally reached Seminyak, we had to feast! 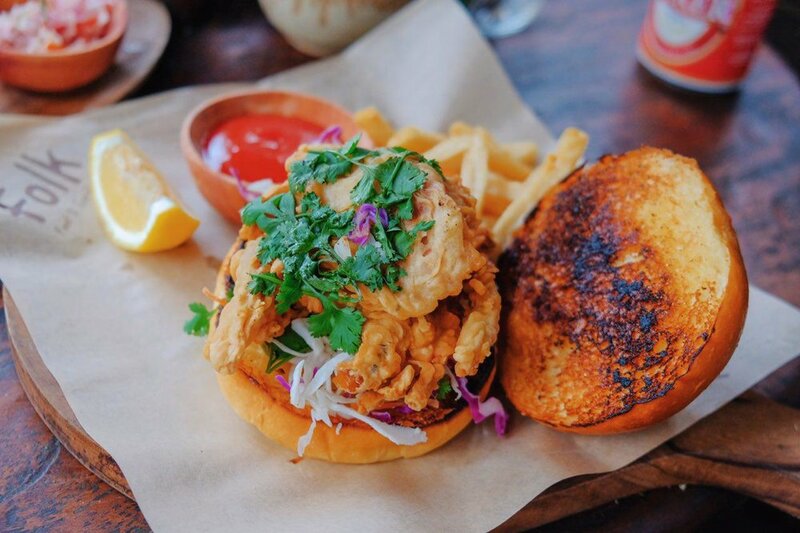 The Savage Kitchen was in the list of suggested restaurants in the Hungry In Bali book and they serve an amazing array of food made from the freshest ingredients and the simplest seasoning. They call it the wild food concept and I couldn't be happier for having some real clean and delicious food after the past few days of over indulging. After a fulfilling meal, we explored the beautiful Tanah Lot where the waves crashing onto the cliff where the temple was on was the most beautiful thing I had ever seen. Sadly, the temple was closed from tourists that day but the view was enough for me. We also did some shopping outside the temple where there were a lot of local stalls and variety of souvenirs and crafts to choose from. Yet again we got to know about this restaurant and bar through the Hungry In Bali book. Truly, the only reason why we came was because of how good the deal was. It was buy one free one for cocktails and two welcome Pisco Sours. 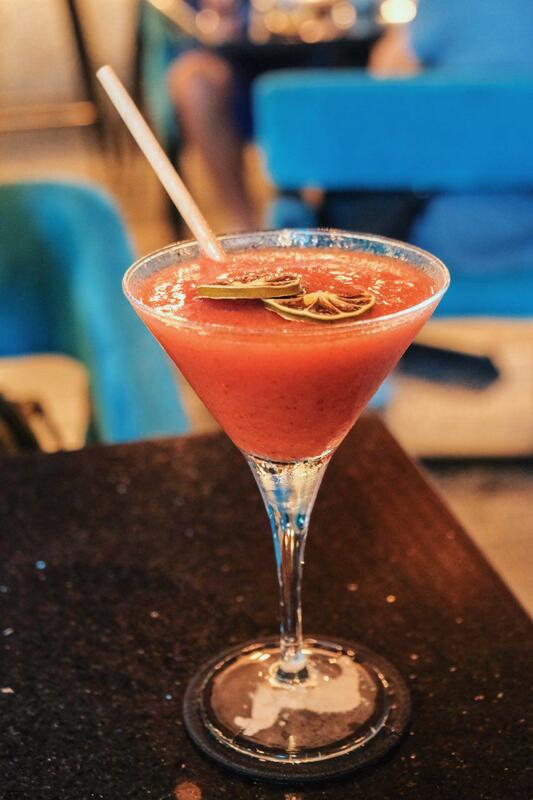 Essentially, we got pretty drunk from 4 cocktails with the price of one. My favourite place for drinks so far, bummed I couldn't try the food but I will be back judging from how the couple next to me was in awe the entire time they were dining. Redza & I met up with some friends that were coincidentally in Bali as well and partied the night away at La Favela. The place is huge with 3 to 4 stories high and multiple bars and lounges under one roof. It was where most people were at and for a weekday night, it was pretty lively I'd say. In terms of price, I'd say a little pricey but for the experience, why not? We stayed in Seminyak for two nights so the next day we decided to explore the cafe scene in the area. Nestled in a back lane with a speakeasy-sort entrance was Revolver Espresso. The cafe was half grunge and half pretty in pink, I loved it. We had an amazing big breakfast and finished off with a really good French toast that was off the charts. With the Hungry In Bali book, we were entitled to unlimited 2-for-1 cocktails at Neon Palms. It was honestly an amazing deal to us and so we spent our afternoon basically ordering almost every cocktail on the menu. No pictures here but we had such a good time laying around sharing cocktails and catching the sunset. It was honestly so romantic and relaxing just doing nothing and enjoying each others company. The music very House and I think only during weekends or events it's more lively. Otherwise, it's just chill all the way. 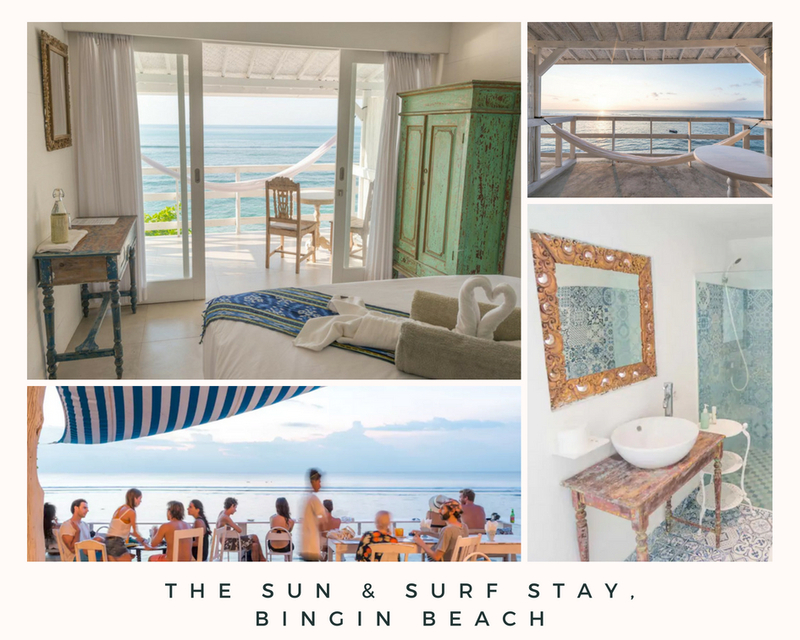 We checked out of our suite in Seminyak and headed to the serene Bingin Beach to stay for a night. 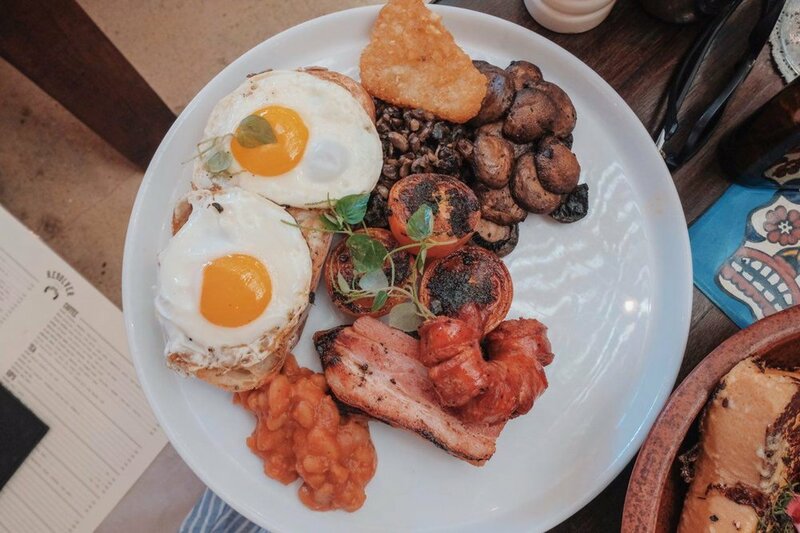 First things first, we had breakfast at Expat Roasters in Seminyak. I'd say this had to be the best comfort food I had on this trip. They're a roaster so aside from coffee, the only food they sell is their toasties. Honestly, I cannot stress enough on how delicious it is. They made something so simple so delicious. I'm not a coffee person so I went for their homemade Chai while Redza really enjoyed their coffee. 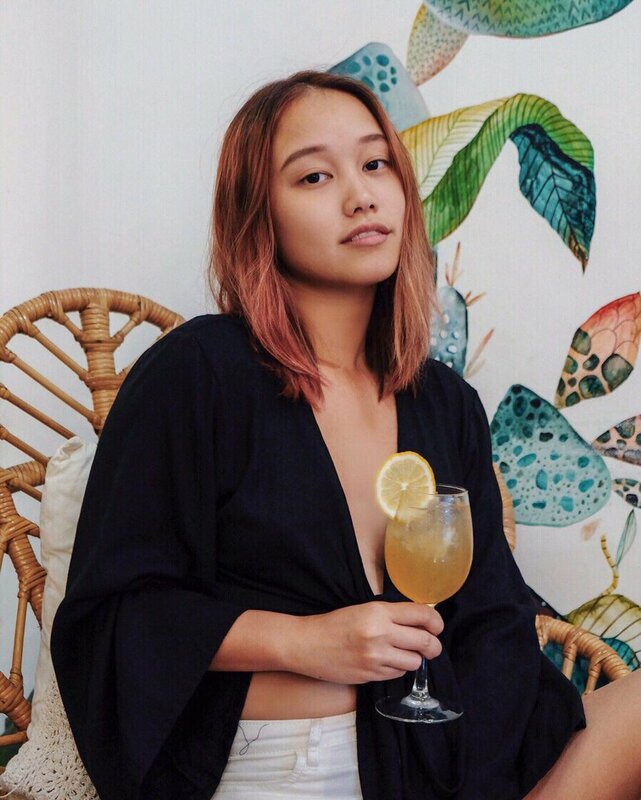 By now you'd think of me as an alcoholic but truly, Bali is the place to drink and let loose. After breakfast we had a late lunch at Panama Kitchen & Pool where we sipped on cocktails and cooled down from the Bali heat in the pool. En route to Bingin Beach we passed by Omnia Beach Club so after checking in, we rented a motorbike to head over to Omnia Beach Club. Entrance alone was around RM100+ excluding a place to sit and drinks so we thought it was more worth it to spend a total of RM400 inclusive of a sun bed and drinks. The sunset was beautiful as the club was on a cliff, sipping on wine and just listening to music made the evening perfect. Another gem around the area that was listed in the Hungry In Bali book. For dinner we decided to have Spanish food. It was another beautiful restaurant nestled on the cliffs by the beach. Although we weren't able to take a good look at the view because it was sundown by then, the paella we ordered was delicious. It's funny how day 7 was supposed to be our last day in Bali but a twist of fate led us to stay for another few days. The whole morning we were just tanning by the beach and ordering food from the place we were staying at. If you're a surfer, Bingin Beach is where you'd wanna ride the waves at. Truth be told, The Sun & Surf Stay is beautiful but I'd say it's a real pain to get to because it's right at the bottom of the cliff where the beach is at. It's impossible for cars to access so to a certain point so you'd have to start lugging your luggage through small alleys and walking up and down flights of stairs. If you're not lazy and would do anything for a view and ambiance then this is where you wanna be at. Also, call ahead so there'll be helpers from the accommodation to help you out with the bags. We decided to walk up those flights of stairs for Nalu Bowls nearby. It was a very chill evening with various smoothie bowls and just each others company. We thought we were checking out and leaving already until we got the notification that our flight was cancelled and postponed due to the eruption of Mt Agung (technically just a small fart but it was too smokey for planes to fly). We hopped on the airport transfer from our place to the airport booked via Klook to double check with the airport and confirmed it. We immediately booked another two nights in Seminyak just to wait on the next flight out. After checking in to our hotel in Seminyak, we took a walk to Motel Mexicola for light dinner. It was perfect because the deal we got from Hungry In Bali was two free tacos. It was the most mouthwatering tacos I've had that I practically stole Redza's half. The party there at night is crazy, amazing in the day for pictures as well! 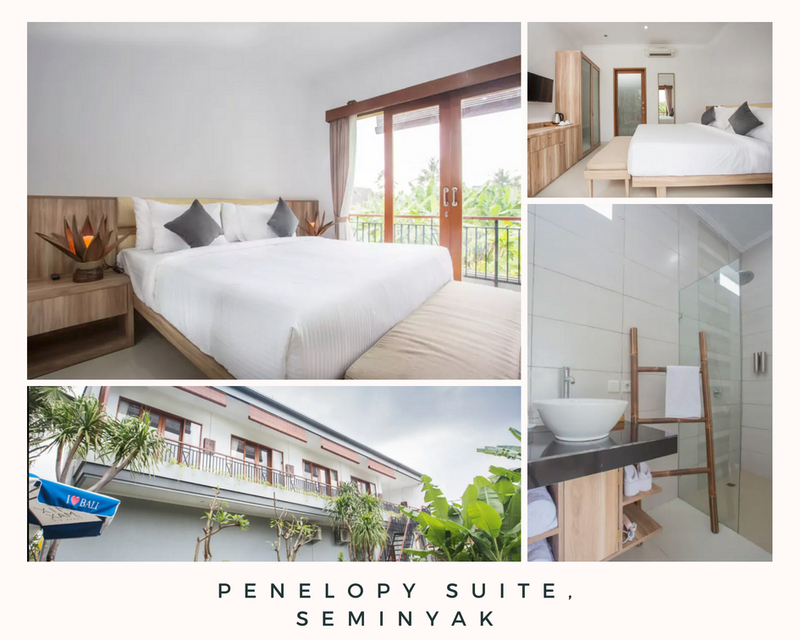 We booked 2 nights at Seminyak Garden as it was one of the more decent, clean, central yet affordable places we could find. This wasn't from AirBNB but Agoda. Truth be told, how could I complain about the extra days here in Bali when I was so in love with it. Brunch was at Strawberry Fields, a serene cafe with plants all over and neon decor. The food was 10/10, I recommend. With no plans ahead we decided to go to Double Six Beach for a tan. It was purely for relaxation and to come back down from earth as we had to depart the next day. Double Six Beach is a pretty cute beach to be at and take photos with all the beanbags they have for rent around the beach. Not to mention, the main street across are packed with stalls if you want to do some shopping. This vegan cafe was recommended via the Hungry In Bali book. It was my first time to a vegan cafe so I was quite intrigued to see what they had to offer. I have to say the food was beyond my expectations of what vegan food would be. I really enjoyed my pasta and so did Redza with this poke bowl. That's all for now, I hope it was useful. 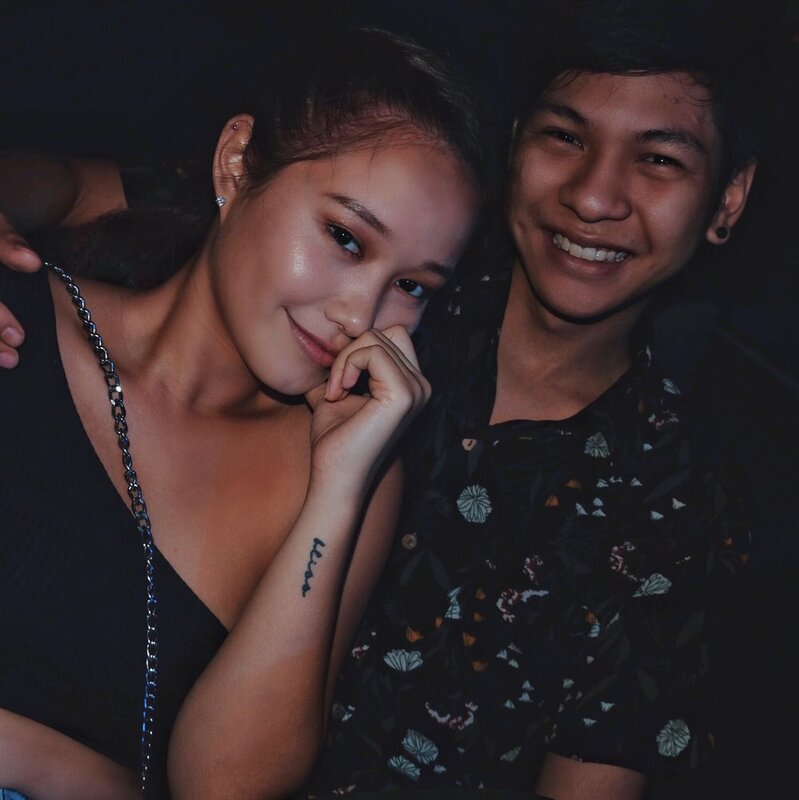 Catch us in action on our travel vlog below!